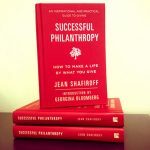 Jean Shafiroff is actively involved as a volunteer leader and fundraiser of several New York City and Southampton charitable causes. Her managerial skills, compassion, generosity and enthusiastic dedication are among her strongest traits. She possesses a remarkable ability to connect different charitable groups with interested people and resources. Jean’s particular interests include charities related to women, health care, animals and the people of the cities she calls home. 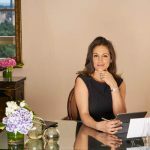 Through her various roles as a board member, chairwoman, honoree, underwriter and hostess of numerous charity events, she has raised millions of dollars. 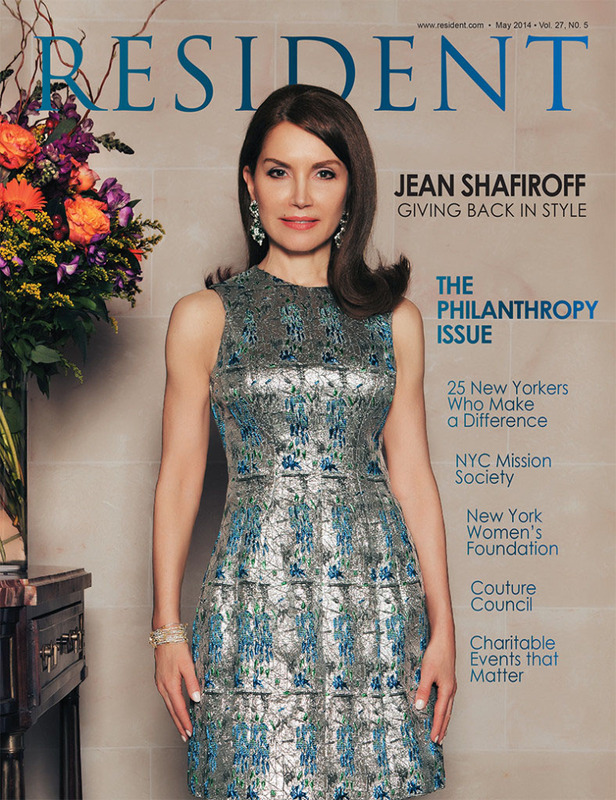 Jean is on the boards of The New York Women’s Foundation®, JBFCS (20 plus years) , French Heritage Society, The Couture Council, Lighthouse International Advisory Board, Southampton Bath & Tennis Club’s Charitable Foundation and Honorary Board Member of the Southampton Animal Shelter. Jean is passionate about writing, style and fashion. Jean holds an MBA from the Graduate School of Business at Columbia University and a BS in physical therapy from Columbia University’s College of Physicians and Surgeons. She has worked both in public finance and private partnerships on Wall Street. Prior to that, she was a physical therapist at St. Luke’s Hospital in New York City. 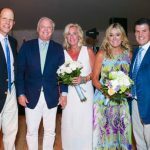 She is married to Martin Shafiroff, an investment advisor, and together they have two daughters, Jacqueline and Elizabeth, who share their mother’s interest in charitable causes. They reside in New York City and Southampton. Tell us about who you are? What makes Jean, Jean? I am someone who loves people and can’t stand to see anyone suffer. Through my travels to Cambodia, Haiti, Colombia, China and Jordan and other places, I’ve seen enormous suffering and inequalities among people. We should all be able to lead a good life. No one should go hungry, and everyone should have the opportunity to receive a good education and move forward. My beliefs help to mold who I am and what I do. As a wife, mother and woman, I care deeply about those less fortunate than myself. Probably my greatest virtue is that I am a hard worker. There is no greater gift in life than to be able to give back. I am very blessed and believe we have a responsibility to help those in need. A philanthropist is not just about financial resources but about time. Time is extraordinarily valuable. How did you start your charitable work? As a young girl growing up on Long Island with my brothers, both our parents and schoolteachers taught us to always care for those in need. I grew up with great examples all around me. When my daughters were young, I was active at their schools and did volunteer work for a few charities. However, it wasn’t until my daughters went off to college that I finally had the time to become more involved with volunteer charity work both in New York City and Southampton. Living with compassion and treating others with kindness, dignity and respect are values that are vitally important to me. I am on 6 charity boards, including NY Women’s Foundation, JBFCS, Lighthouse International Advisory Board, Couture Council, French Heritage Society, Southampton Bath and Tennis Club Charitable Foundation and the Honorary Board of the Southampton Animal Shelter Gala. 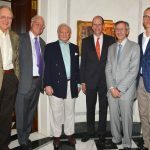 In addition, I am involved with a few others including– Southampton Hospital and New York City Mission Society. You were recently honored by NYC Mission Society and received the Dina Merrill Award for Public Service. How do you feel about being honored? It was a great honor to receive this award. Serving as an honoree generally means that you must do a lot of work for the charity. A good honoree gives time and resources to the organization honoring him or her. It’s work! How do you choose the charities you work with? Often I’m approached by many organizations and look for a way to assist them. However, I am passionate about women’s issues, healthcare, helping the underserved, and animal welfare. What do you do for those organizations? Generally I fundraise, advocate and encourage others to get involved in whatever ways they can. In addition, I also give a great deal of time and available resources. Often I serve as a leader and believe in the team approach. What is your proudest achievement in terms of your giving? The greatest achievement is to see those in need benefit from the work being done on their behalf. I’m proud that I was able to serve three times as the Chairwoman of the Annual Summer Party for Southampton Hospital. What other organizations do you plan to join? Oh, I can’t really say. For sure I am always open to new groups. Were you instilled with a sense of giving, growing up? How have you instilled it in your daughters? Yes, my family and teachers instilled in me a strong sense of giving back. My husband and two daughters feel the same way. Jackie, our oldest daughter, will complete her Masters Degree in Social Work at NYU this May. Liz, our youngest, is studying photo journalism at the International Center of Photography. Liz has been very active in animal rescue. Tell me about your sense of style? Well, it’s a touch eclectic. Fantasy and fashion history play a key role in how I often dress. I love style and fashion and often mix designer and vintage pieces. It’s fun to add items from stores like H&M and Zara. Naturally, there are many times when I must dress conservatively because of the work I do. There are so many– Oscar de la Renta, Zang Toi, Christian Dior, B. Michael, Carolina Herrera, Victor de Souza, , Fabiola Arias, Milly, Ralph Lauren, Michael Kors, Prada, Chanel and vintage Givenchy. Recently, I attended Angel Sanchez’s show and loved what he created. Probably the most spectacular show for fall 2014 was Zang Toi’s. I also love discovering all the young talented new designers. Why do you love NYC? It’s diversity, people and opportunities. There is no better place in the world! Of course I plan to continue working with several charities. For sure I could never give this work up. It’s important to always grow and evolve — new projects that would help to motivate others to give back are of interest me.